Actor Nicholas Cage does not just play a single dad in his new movie, but he has also spent time single parenting in real life. Speaking out on behalf of dads across the country who are raising their kids alone, Cage told Parade magazine about how he met the challenges of parenthood. "Just because you’re a man doesn’t mean you can’t raise your kid," he said. "I learned that if you are a single father don’t give up no matter what they say." 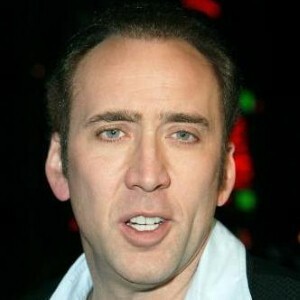 Cage told the news provider he based his role in the new film Knowing partly on his experience of raising his real-life son, Weston Coppola Cage, who is now 18. He acknowledged his parenting skills were sometimes challenged during the period in which he was bringing up his son in LA. "Some of the lines in our scenes came out of my direct memories of my times with Weston. I had been looking for a way to express those feelings for a long time," he said. The actor is currently married to Alice Kim and also has a 3-year-old son named Kal-El.